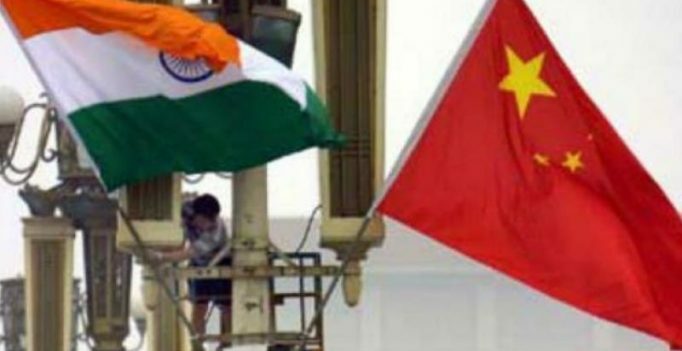 Beijing: India should shed its “strategic anxiety” over the China-Pakistan Economic Corridor and join the Belt and Road Initiative to become a cooperative partner and not a rival, a state-run Chinese news agency said on Sunday, amid a standoff between the two nations in the Sikkim sector. The commentary in Xinhua – India’s China-phobia Might Lead To Strategic Myopia – criticised New Delhi’s boycott of the Belt and Road Forum conference held in May and asked India to shed its “China anxiety”. India boycotted the BRF after sovereignty concerns over the USD 50 billion China-Pakistan Economic Corridor (CPEC), which traverses through Pakistan-occupied Kashmir (PoK). Then, India said the Chinese ambitious initiative must be pursued in a manner that respects sovereignty and territorial integrity. The piece did not mention the CPEC by name, but referred to the BRI – the umbrella project under which the CPEC falls. The commentary in Xinhua, considered an official view, said “despite its strategic discomfort, it is important for India to get over its ‘China anxiety’ and carefully assess the initiative, recognise its potential benefits and seize the opportunities”. After India’s boycott of the BRF, official Chinese media have been carrying out articles asking India to reconsider its decision to not back the BRI. A recent official “white paper” by China on the 21st Maritime Silk Road even offered to link the CPEC with the Bangladesh-China-India-Myanmar (BCIM) Economic Corridor in order to provide India greater access to Central Asia. Observers say China’s repeated invitations to India to join the BRI highlights its own anxieties over the adverse impact of New Delhi’s lack of support to the multi-billion dollar investments in South Asia as it would deny access to India’s market consisting over 1.2 billion people. “It could have voiced its concerns and opinions on public occasions or in official statements as China is always willing to discuss all problems and possibilities with India on the basis of mutual benefits,” it said. “Though proposed by China, the Belt and Road is not a ‘Chinese project.’ It is a multilateral initiative, with win-win results at its core,” it said. The commentary came as troops of India and China are in a face-off since June 16 over the Chinese military’s attempt to construct a strategic road in Doklam region of the Sikkim sector, which India and Bhutan is strongly objecting to.